PLEASE NOTE: This program is postponed to a later date. A New date will be posted. More than half of Americans have visibly sore and achy veins, and they're not just a cosmetic issue. If left untreated, varicose veins could result in more serious problems. 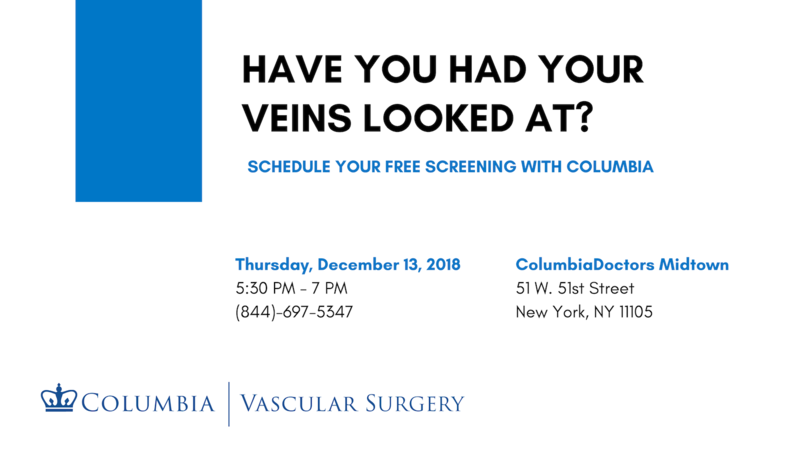 Let Columbia help - our complimentary vein screenings involve a brief exam, a one-on-one conversation with a world-class Columbia doctor, and no pressure to commit to any additional treatment.